NOTE: Due to limited stock, maximum purchase is 1 per order. Colorful, sleek, and consistent, the brand new Turquoise JUUL battery is the latest eye-popping color in JUUL's expanding line of stylish devices. Stylize your vaping lifestyle with the Turquoise JUUL and experience the same production and quality of the original grey JUUL battery. The Turquoise JUUL houses the same 200mAh battery as the original grey JUUL battery, making it as portable and travel-ready as can be. Charging the Turquoise JUUL is simple: insert the included JUUL USB charger into a power source and place the device on top. 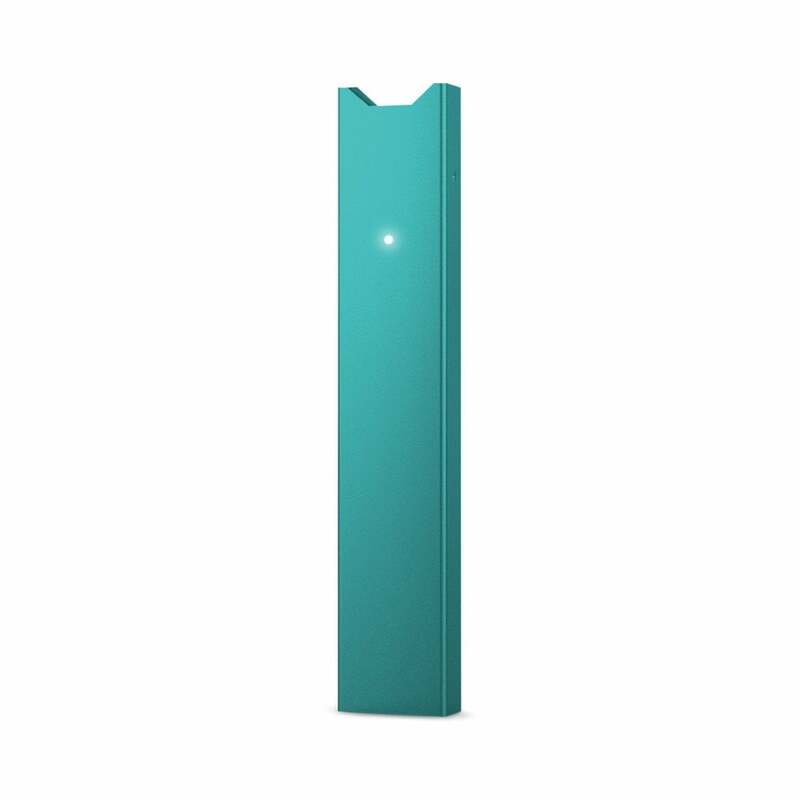 The Turquoise JUUL's battery life can be checked by tapping the side of the device twice in quick succession, which will illuminate the LED indicator on the front. This product comes with a one (1) year warranty covered by Electric Tobacconist, LLC. See the Common Questions tab for more information. What is the warranty on the JUUL Vaporizer Kit? JUUL comes with a one (1) year limited warranty from the date of retail purchase by the original purchaser and is covered by Electric Tobacconist, LLC. Electric Tobacconist, LLC only warrants JUUL against defects in materials and workmanship under normal use for 1 year from date of retail purchase from www.electrictobacconist.com. If a valid claim under this Limited Warranty is received within the 1 year warranty period, Electric Tobacconist, LLC will, at its discretion, either: (1) Repair the defect; or (2) Exchange the device for a new one. Except as stated herein, Electric Tobacconist, LLC makes no other express warranty. Please note: Electric Tobacconist, LLC warranty does not cover JUULpods purchases.